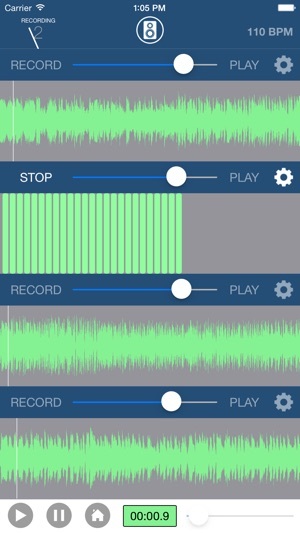 Multi-Track Song Recorder is a premier 4 track recording app. 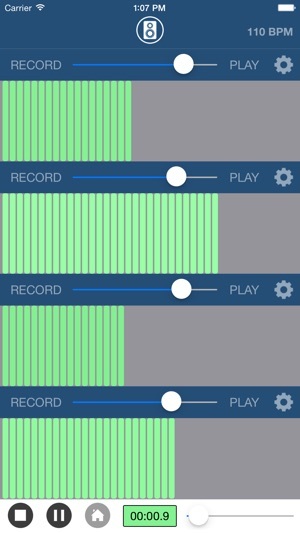 MTSR allows you to record up to 4 tracks with a simple and easy to use interface. Designed with a simple tape recording style and with many features for creative and more advanced music recording. 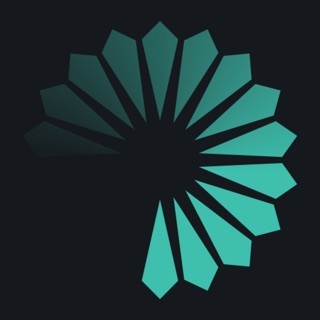 Includes a Metronome with options for creating Perfect Loops and duplicating your recordings to loop as many times as you’d like. Features options for merging all of your tracks in the same recording session to allow for unlimited recording possibilities. 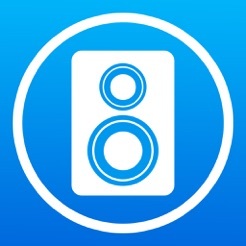 You can also export your songs via Dropbox, Email, SMS, and iTunes File Sharing. 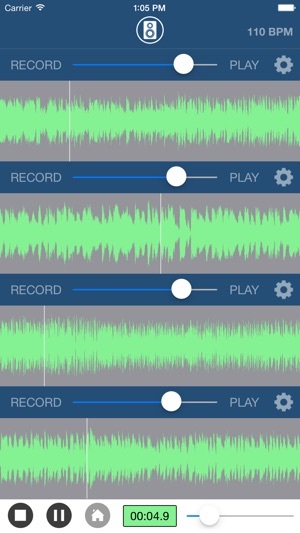 Multi Track Song Recorder is the perfect iOS app for musicians looking to write and record simple songs at home or on the move! Now includes Upgrade to Pro option. This In-App Purchase will remove all advertising and unlock the more advanced Metronome for only $0.99. 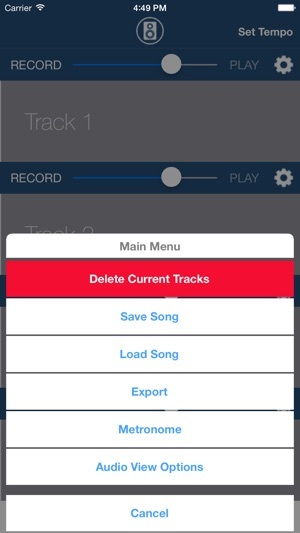 For more information see Multi Track Song Recorder Pro on the iOS App Store. 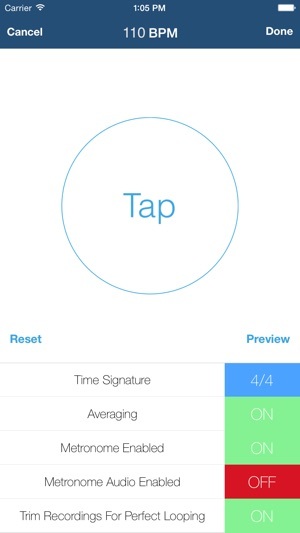 - Includes Metronome that allows you to tap your tempo for finding the perfect BPM to your song. Also includes the perfect looping feature which trims the audio of your recordings so that your track will loop to the beat! Would not turn off, just constantly ran in the background. Possibly spying through the mic. Exported my songs and deleted just in case. App now stops recording when screen is turned off. It used to work well. Don’t purchase until reviews show its fixed. Waste of time. I cant even record or when i press delete all It doesnt even work! Worst app ever. Requires iOS 9.3 or later. Compatible with iPhone 5s, iPhone 6, iPhone 6 Plus, iPhone 6s, iPhone 6s Plus, iPhone SE, iPhone 7, iPhone 7 Plus, iPhone 8, iPhone 8 Plus, iPhone X, iPhone XS, iPhone XS Max, iPhone XR, iPad Air, iPad Air Wi-Fi + Cellular, iPad mini 2, iPad mini 2 Wi-Fi + Cellular, iPad Air 2, iPad Air 2 Wi-Fi + Cellular, iPad mini 3, iPad mini 3 Wi-Fi + Cellular, iPad mini 4, iPad mini 4 Wi-Fi + Cellular, 12.9-inch iPad Pro, 12.9-inch iPad Pro Wi-Fi + Cellular, 9.7-inch iPad Pro, 9.7-inch iPad Pro Wi-Fi + Cellular, iPad Wi-Fi (5th generation), iPad Wi-Fi + Cellular (5th generation), 12.9-inch iPad Pro (2nd generation), 12.9-inch iPad Pro Wi‑Fi + Cellular (2nd generation), 10.5-inch iPad Pro, 10.5-inch iPad Pro Wi‑Fi + Cellular, iPad (6th generation), iPad Wi-Fi + Cellular (6th generation), iPad Pro (11-inch), iPad Pro (11-inch) Wi-Fi + Cellular, iPad Pro (12.9-inch) (3rd generation), iPad Pro (12.9-inch) (3rd generation) Wi-Fi + Cellular, iPad mini (5th generation), iPad mini (5th generation) Wi-Fi + Cellular, iPad Air (3rd generation), iPad Air (3rd generation) Wi-Fi + Cellular and iPod touch (6th generation).